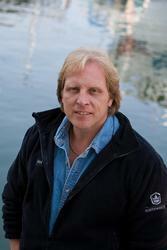 Captain Sig Hansen Will be Special Guest at Lake of the Torches Casino. Sig Hansen, the star captain on the Discovery Channel’s hit television show “Deadliest Catch,” will be a featured guest at the Great Northwoods Fish Fry Fest on Saturday, August 14, at Lake of the Torches Resort Casino in Lac du Flambeau, Wisconsin. (Vocus) June 23, 2010 — Sig Hansen (http://www.sighansen.net/), the star captain on the Discovery Channel’s (http://dsc.discovery.com/) hit television show “Deadliest Catch,” (http://dsc.discovery.com/tv/deadliest-catch/) will be a featured guest at the Great Northwoods Fish Fry Fest (http://www.wiupevents.com/fishfest.html) on Saturday, August 14, at Lake of the Torches Resort Casino (http://www.lakeofthetorches.com). He will be one of several judges appearing at the fest in which restaurant owners and cooks from across the region compete to see who can claim the title “Best Fish Fry in the Northwoods.” Sig Hansen will be available for free autographs and pictures at the event on Saturday, Aug. 14, from 1pm. – 5p.m. Events will take place in the casino’s Hall of Nations convention center and in the parking lot located by the hotel. Deadliest Catch fans of all ages are welcomed to attend this free event. 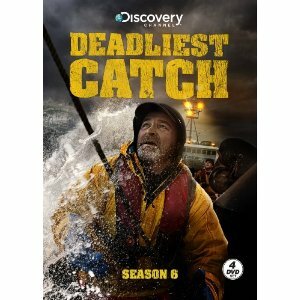 Television fans know Hansen from the Discovery Channel television show “Deadliest Catch,” which documents the crab fishing fleet which battles the fierce storms and rough conditions on the Bering Sea. The name Deadliest Catch refers to the high risk of injury or death the crews face due to the hazardous work condition. Hansen is captain of the Northwestern (http://fvnorthwestern.com/index.php), the crab fishing vessel known as one of the fleet’s top producers. The Northwestern, which Hansen has captained for the past 20 years, never has had a single death and its serious injury rate is lower than other boats in the Bering Sea Fleet. Hansen’s younger brother, Edgar, serves as Engineer and Deck Boss on the Northwestern and another brother, Norman, often serves as a deck hand. The Hansen brothers have fishing in their blood. Their father was a Norwegian fisherman who was one of the pioneers of fishing on the Bering Sea. Sig himself learned the ropes starting at age 14 on his dad’s fishing vessel and eventually took over the helm at 24, being one of the youngest captains on the Bering Sea. He is known as a hard-driving captain who pushes himself and his crew to work grueling hours under extreme weather conditions to capture some of the biggest hauls on the fishing fleet. More information about the Great Northwoods Fish Fry Fest is available at www.fishingboatingoutdoor.com. Or, visit the Player Services desk at the casino for more information. Situated on the shores of Pokegama Lake and nestled in Wisconsin’s Northwoods, the Lake of the Torches Resort Casino has a feel of a classic Northern retreat and reflects its Ojibwe culture and heritage. The casino has over 800 slot machines (including a high-limit and non-smoking area), 12 blackjack tables, Let it Ride, Three Card Poker, and three poker tables, a high-stakes Bingo Hall seating up to 500 persons, the Game Time Grill and the Eagle’s Nest Restaurant. The hotel has 101 well–appointed rooms, the Dancing Waters Lounge and the Woodland Oasis pool area. The 8,500 square-foot Convention Center with the Hall of Nations offers an outstanding venue for entertainment, receptions, trade shows, meetings, presentations and seminars. It is proudly owned and operated by the Lac du Flambeau Band of Lake Superior Chippewa Indians.